Be empowered to publish with passion, power and purpose. Master strategies to write, market and publish your book with a 90-day easy to understand process. Be empowered to publish with passion, power and purpose. If you’re serious about publishing a book, The Self-Publishing Process: The Beginner’s Guide to Book Publishing Success will help you write, market and publish your book. 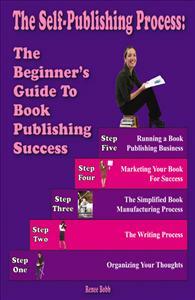 It will show you how to publish a book in 90-days or less. Provide a step-by-step process that is easy to understand and easy to follow. Book includes publishing resources and tools, plus a customized publishing budget. Readers will find a comprehensive marketing plan and 81 marketing strategies that can help author’s propel their books to best-seller status.